SomnoDent is a custom made appliance, comprised of upper and lower dental plates with a unique patented fin coupling component, which allows normal mouth opening and closing. SomnoDent oral appliances are advanced in 1/10th mm increments allowing patients with previous TMD/TMJ concerns to move at a slower pace. SomnoDent Flex is made from unique SMH BFLEX material and acrylic that provides superior retention and comfort. This model may be preferred where crown and bridge work is present. 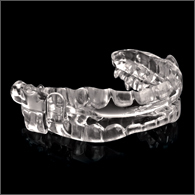 SomnoDent Classic is made from the highest quality orthodontic acrylic, the Classic has been designed to offer durability, comfort and quality. SomnoDent Herbst comes in both options, soft "Flex" liner as well as the "Classic" option. 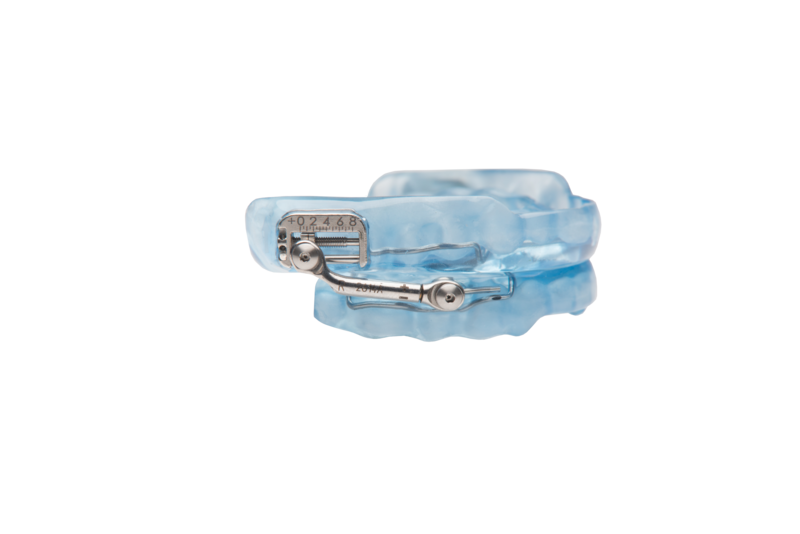 This oral appliance is lined with metal reinforcement to ensure maximum strength and is held together with two hinge attachments. The Herbst oral appliance is required by Medicare, Blue Cross of Idaho and Regence insurance. Micr02 design is patient specific to maximize tongue space and the ability to open and close during wear. These devices do not require any mechanical adjustments, like turning screws with keys or changing positions with elastics. Micr02 oral appliances advance in 1mm increments by exchanging out custom advanced trays prescribed by your dentist. The patient or dentist can project the jaw forwards in increments of .5mm at a time up to 15mm. Ultra light and flexible, it is one of the lightest devices on the market with durability guaranteed. 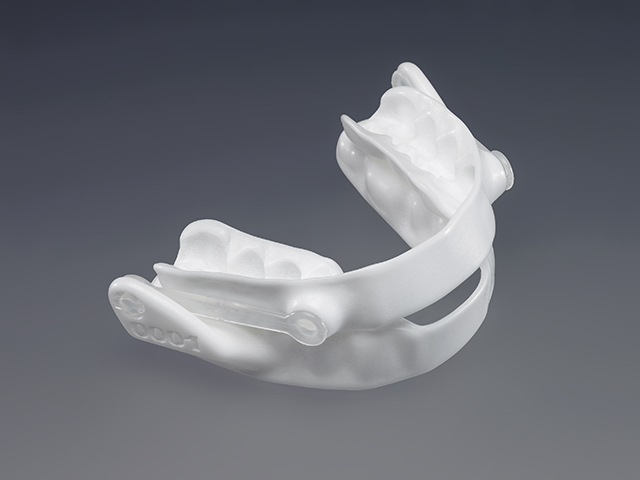 The Narval appliance is made Made of highly resilient and durable biocompatible polymer material, Narval is metal-free, flexible and lightweight. The Herbst appliance is held in the mouth by clasps and friction grips. 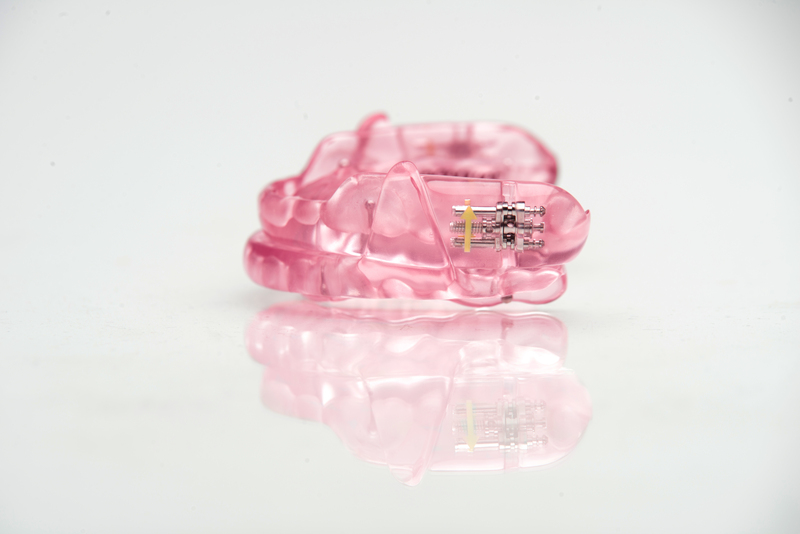 It is made of acrylic, and contains adjustable metal wiring. The advantage of this appliance is that the wearer is able to move vertically and laterally without dislodging the appliance. The Herbst appliance is usually used in mild and moderate cases of sleep apnea, and can also alleviate loud snoring effectively. The Herbst oral appliance is required by Medicare, Blue Cross of Idaho and Regence insurance.